Adeleke who is a three-term senator was elected on the platform of the All Progressives Congress (APC) in 2015. The three-term Senator currently represents Osun West Senatorial district having won the election on the platform of the All Progressives Congress, APC, in 2015. Adeleke died Sunday at Bikets Hospital in Oshogbo, the Osun state capital, after suffering a heart attack according to family sources. Sources close to the family said Adeleke reportedly took ill while attending a ceremony at Kuta in Olaoluwa Local Govt area of the state where the Senatorial leader of Adeleke senatorial district, Alh Yinusa Amobi was having a burial ceremony. Adeleke had attended d ceremony along with other political functionary and party leaders including the Deputy Governor of Osun, Mrs Grace Titilayo Tomori. As at the time of filing this report, mourners have biesege Adeleke’s country home. 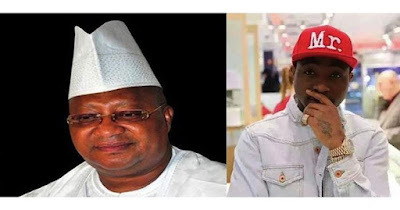 Adeleke was believed to be warming up to contest for the 2018 governorship election in the state. Adeleke, the first civilian governor of Osun state, in 2014, dumped the Peoples Democratic Party, PDP.